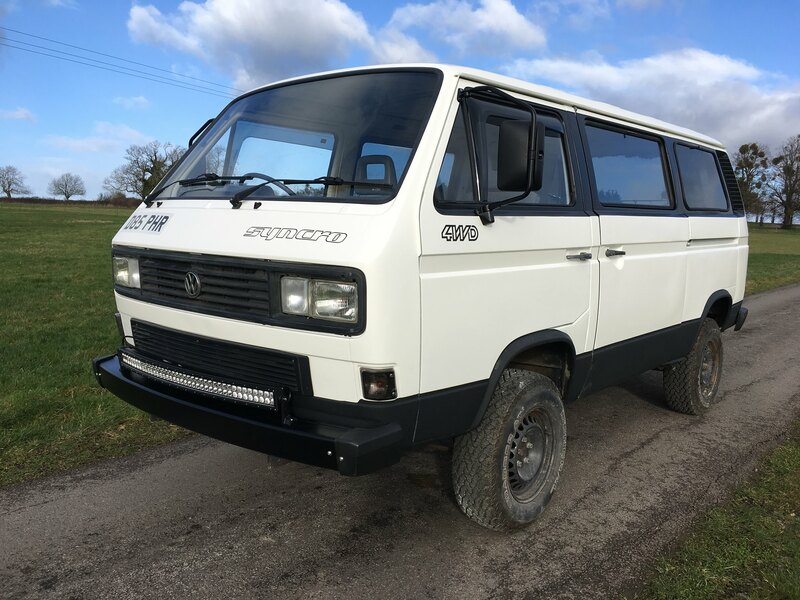 We've nearly finished the bodywork on our Syncro now so thought we'd get it out of the workshop to get some pictures before we start on the interior. We're quite happy with how its come out. For more information feel free to visit our blog in my signature. Nice, a good looking van. Thanks for the kind words chaps. Now the body is just about finished its given us a boost of enthusiasm to get the interior done as its taken a year to get this far. Dobble wrote: Thanks for the kind words chaps. Now the body is just about finished its given us a boost of enthusiasm to get the interior done as its taken a year to get this far. I love the look of your van!! 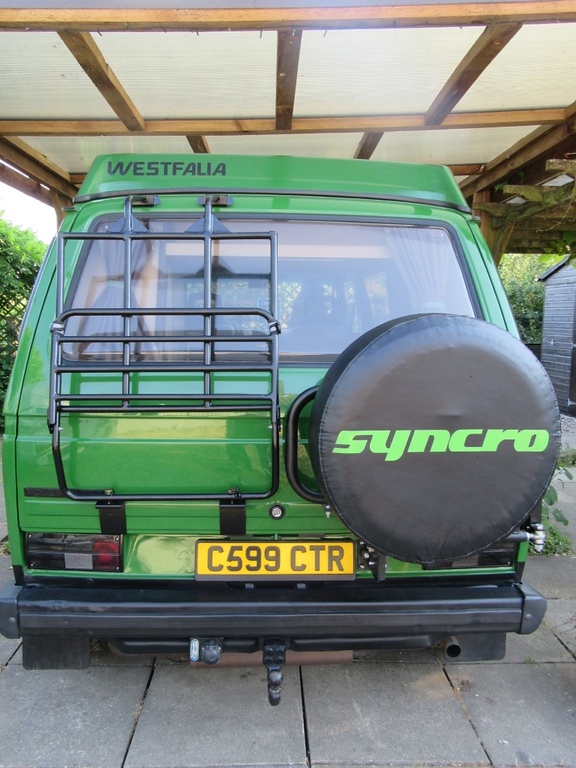 We're going to be getting a rack and spare wheel holder for the back of ours when the interior is finished. Are there any pros or cons as to which side you mount the spare wheel and rack? Dobble wrote: I love the look of your van!! 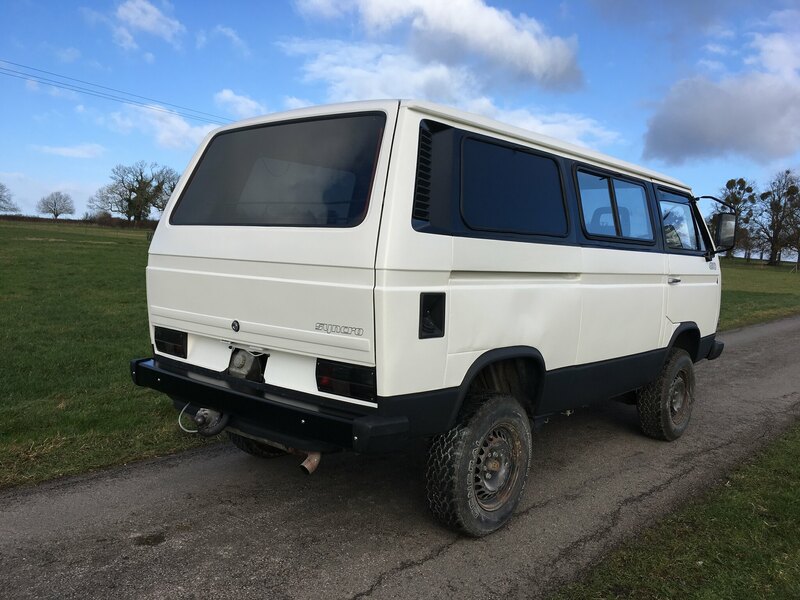 We're going to be getting a rack and spare wheel holder for the back of ours when the interior is finished. 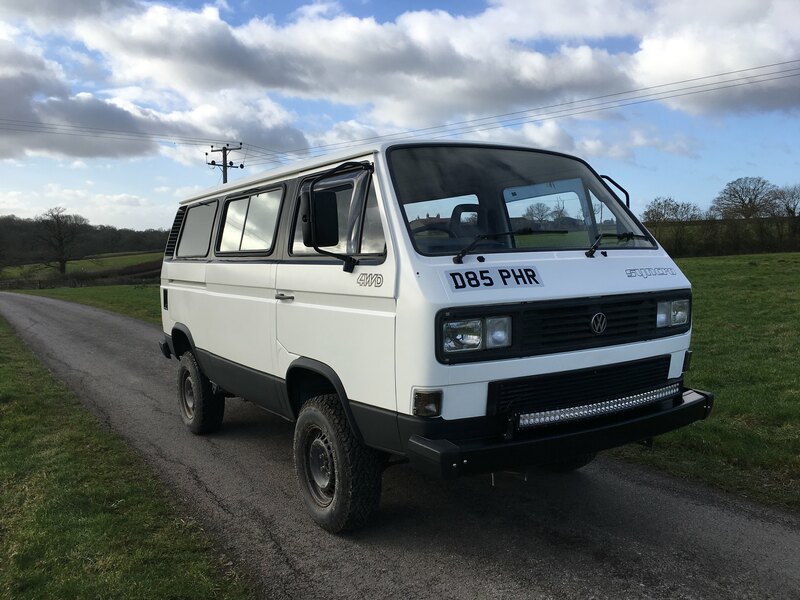 Are there any pros or cons as to which side you mount the spare wheel and rack? Cheers Ben Not really just choice, I modified the Paulchen rack a little to fit with the carrier, I have a few more bits to do which will allow two bikes to fit with the spare there. I just want one of those racks to copy at work. I make tractor attachments all day long so that would be reasonably simple.